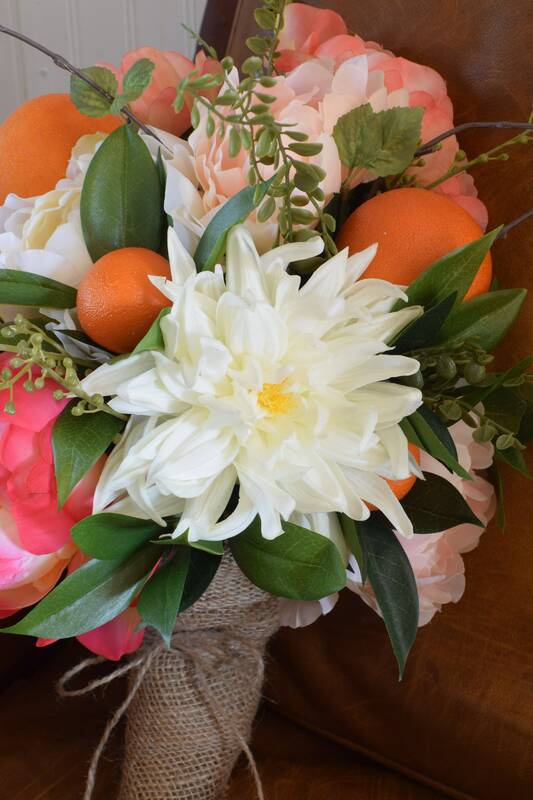 You won't find another bouquet like this one! 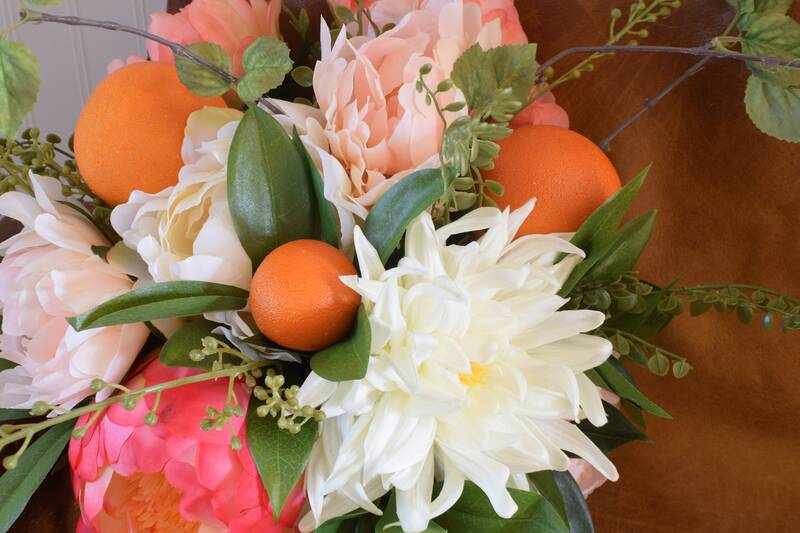 This one of a kind fruit and floral bouquet is colorful, trendy and classy and will last forever! 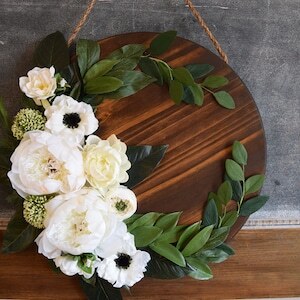 This one is versatile, and can be used as a wedding bouquet, centerpiece, Mother's Day Gift, Hostess Gift, or Housewarming Gift. 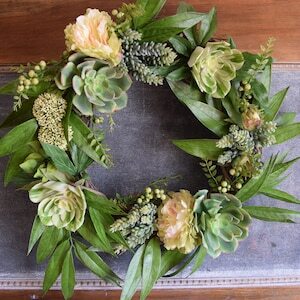 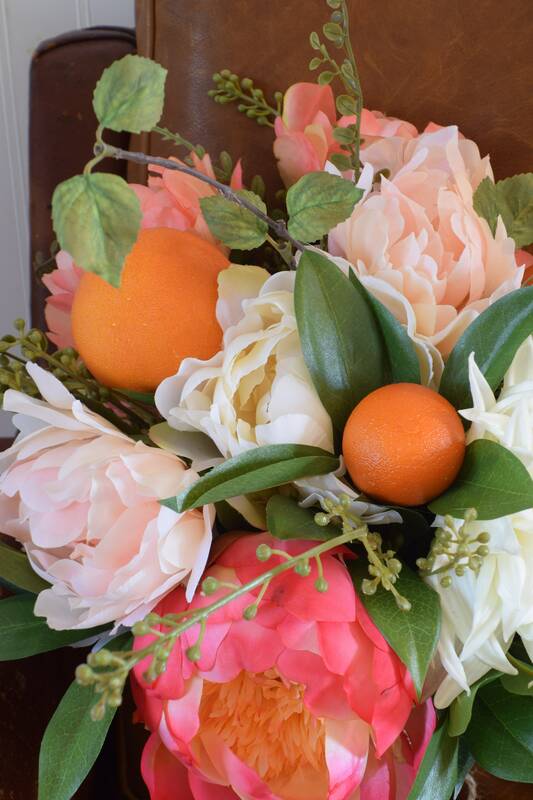 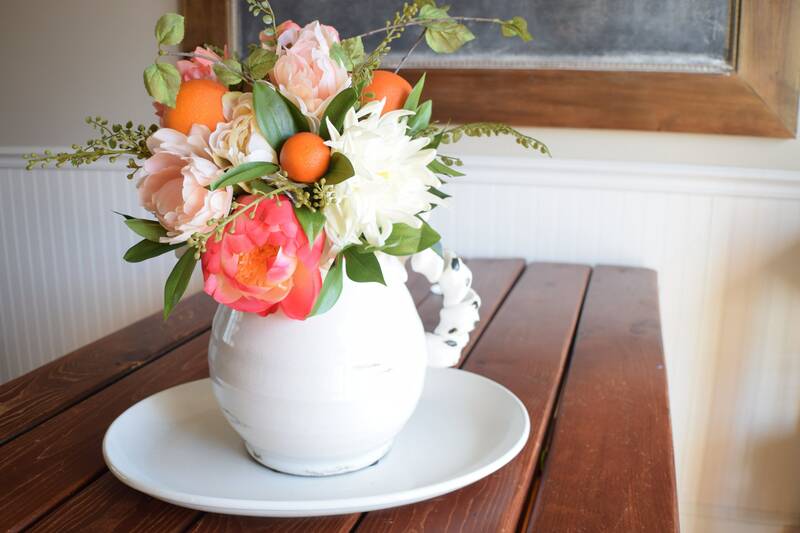 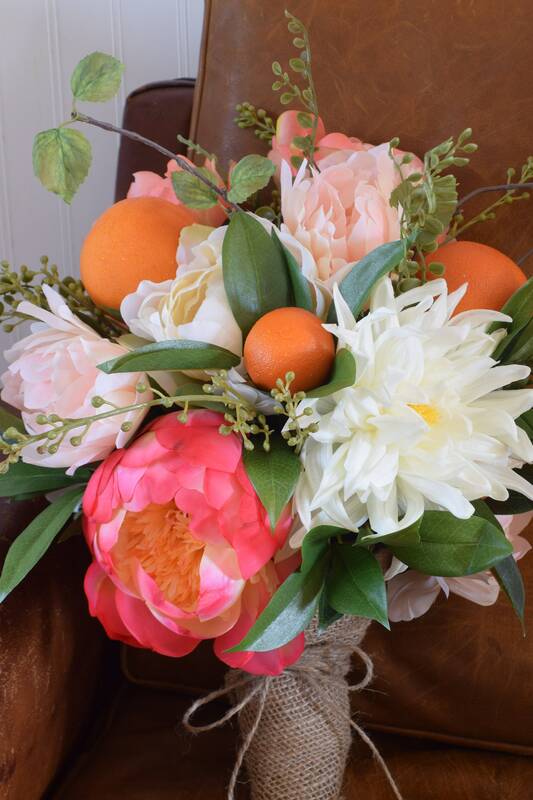 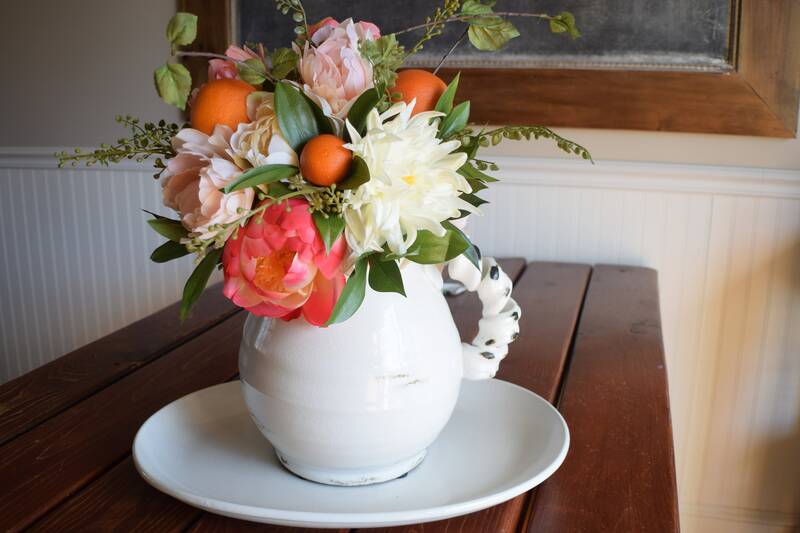 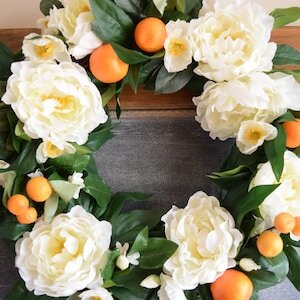 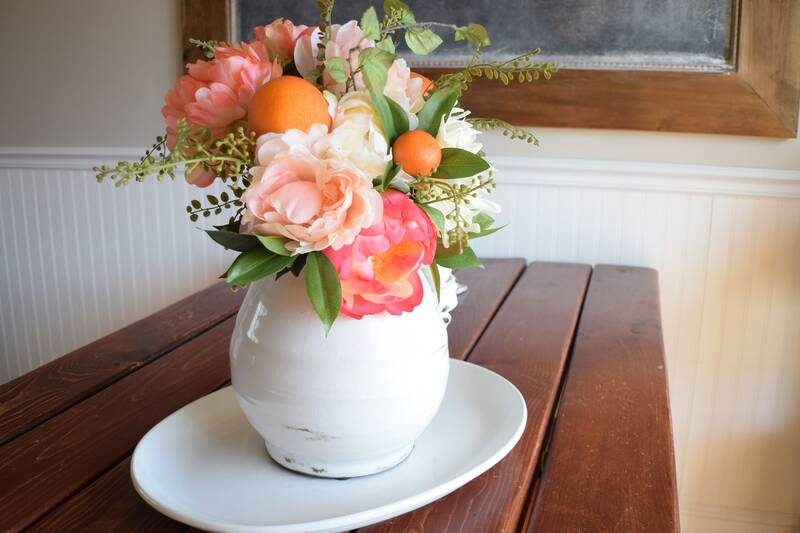 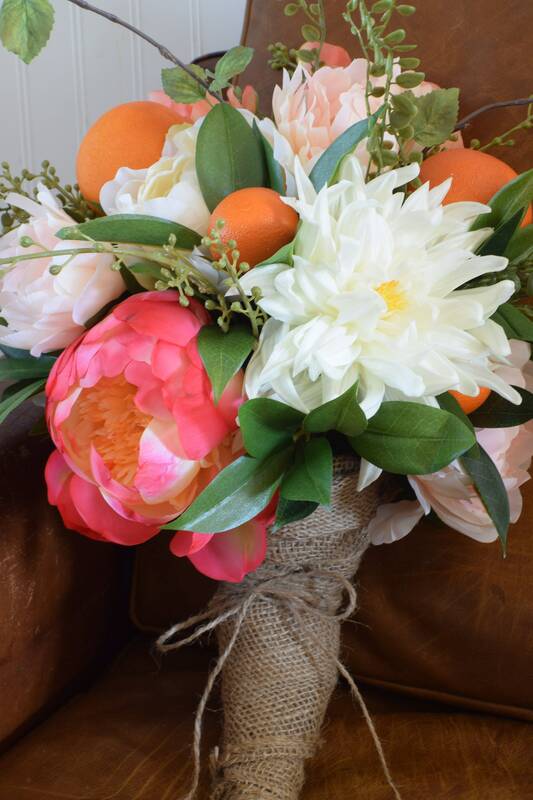 Full of peach and pale pink peonies, 1 bright coral peony, 1 jumbo dahlia, orange fruits and greenery. 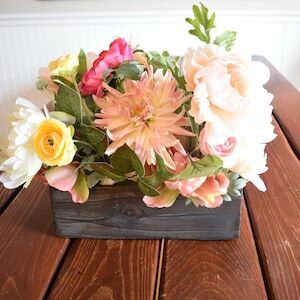 Wrapped in burlap and finished with a kraft paper bouquet sleeve and tissue paper.